Waking up after a long day of travel (and too much cava the night before) my goal was to have a nice and easy day of exploring the city. 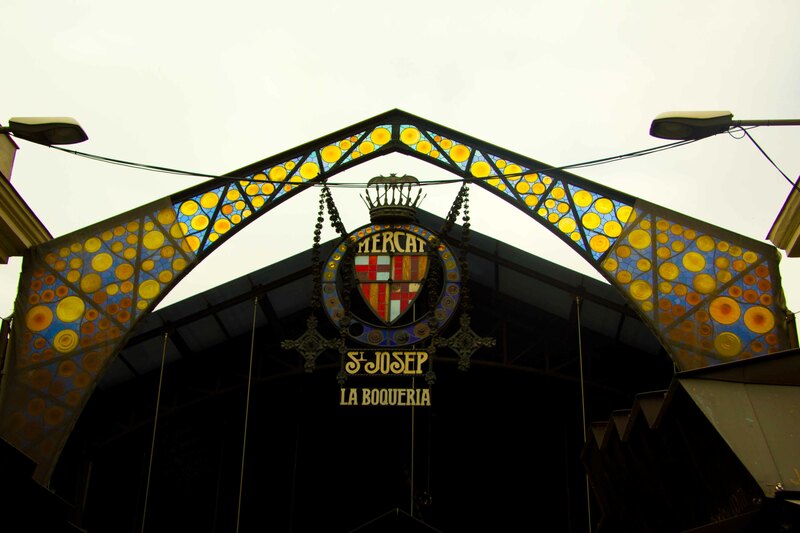 First on my list was “the best food market in Europe”, La Boqueria. 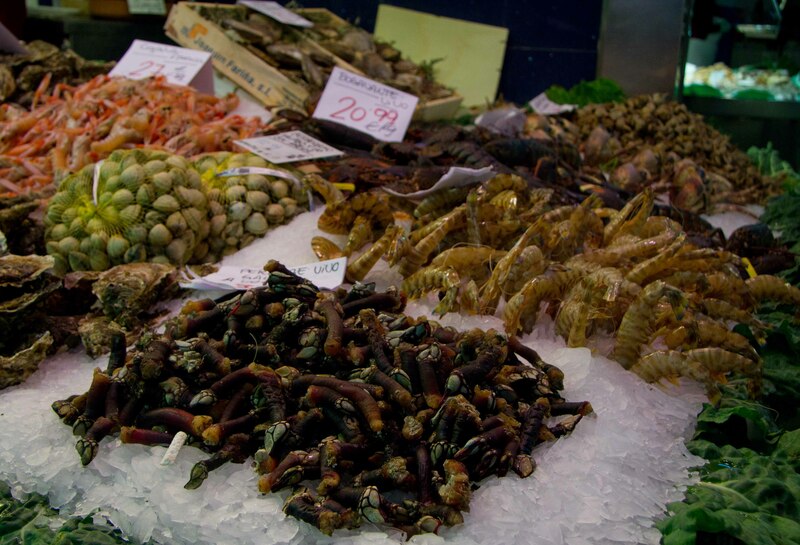 Located off the über touristy Las Ramblas, it’s one of the prettiest and cleanest markets I’ve ever been to. 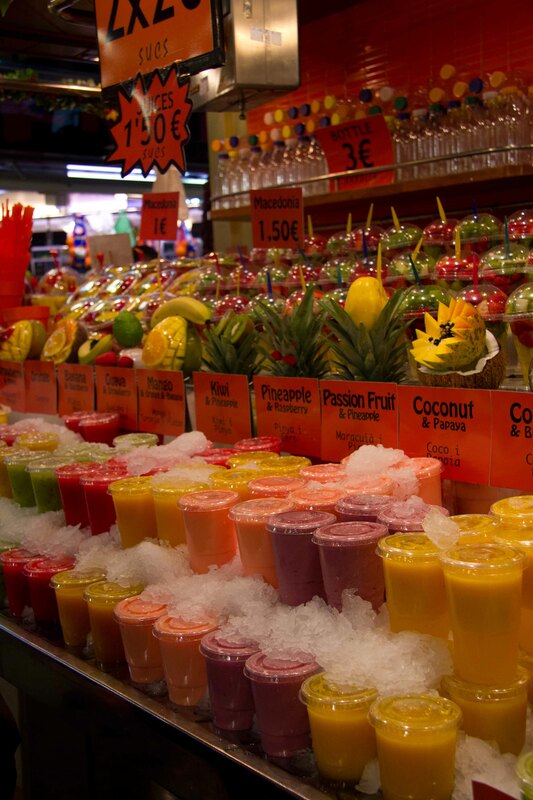 Wandering through the stalls, I quickly went into sensory overload at all the glorious stalls. 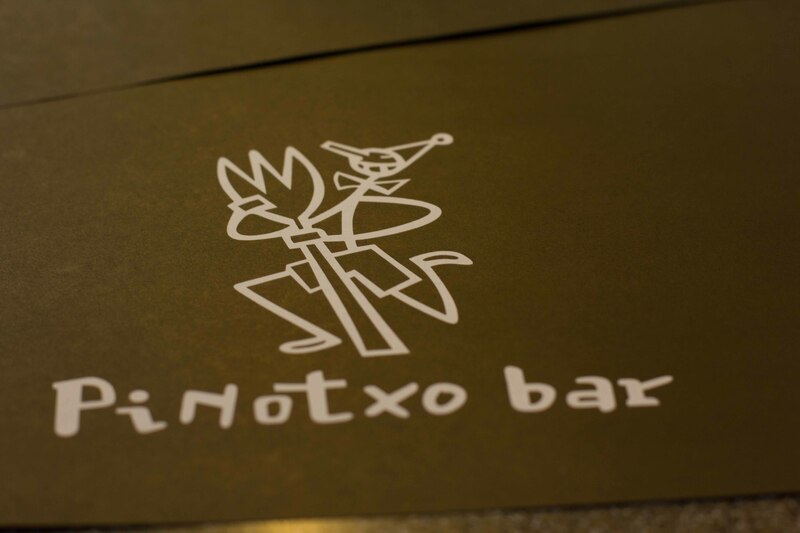 But of course I’m there to eat and when I saw that the very famous Pinotxo bar did not have much of a wait, I decided I was hungry and it was time to eat. 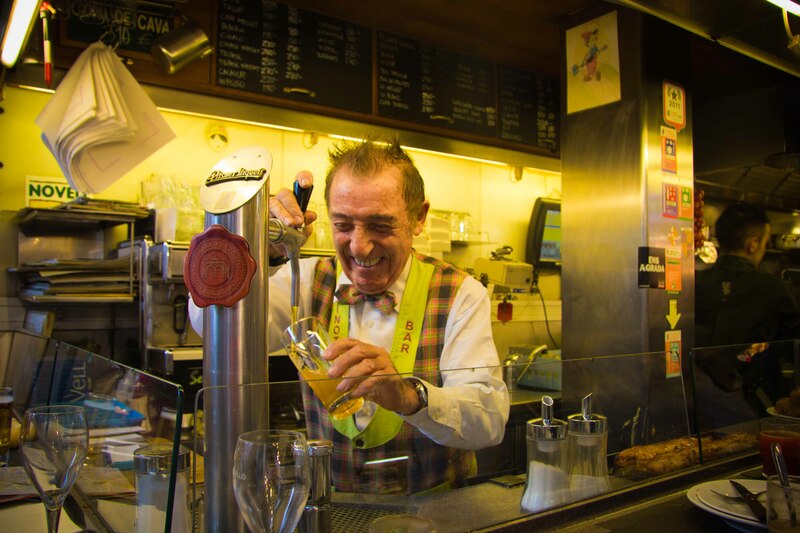 First in line for a table, we caught the eye of the man made famous (to me) by Ferran Adria’s recommendation and Anthony Bourdain’s visit on tv, Mr Juanito Bayen. He gave us a quick wink and a smile to acknowledge us. We were seated quickly and I was happy to be seated in front of Juanito himself. But ever the worrier, I had a flash of concern that this meal was going all hype, no substance, which is something that happens often when something/one becomes an icon. 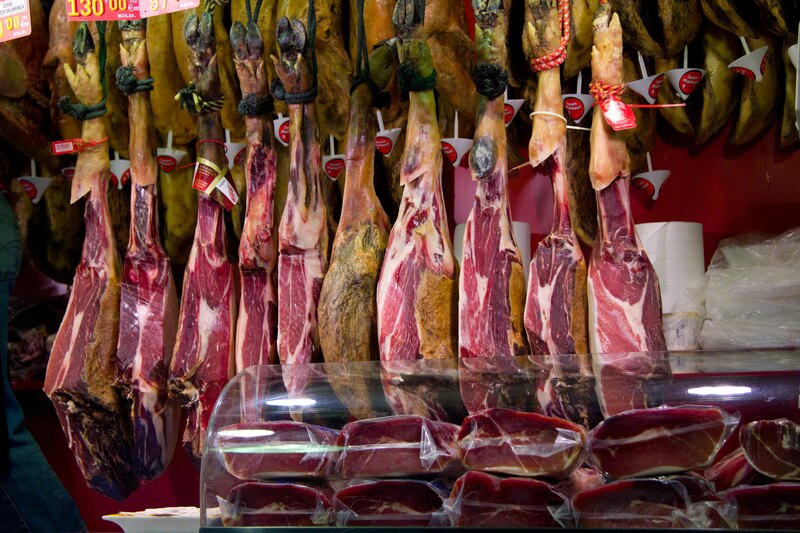 We were asked “pescado o carne?” and although I was thinking both, pescado was what came out of my mouth. Another smile and a wink and we knew we didn’t have to think about what to order. Salud! 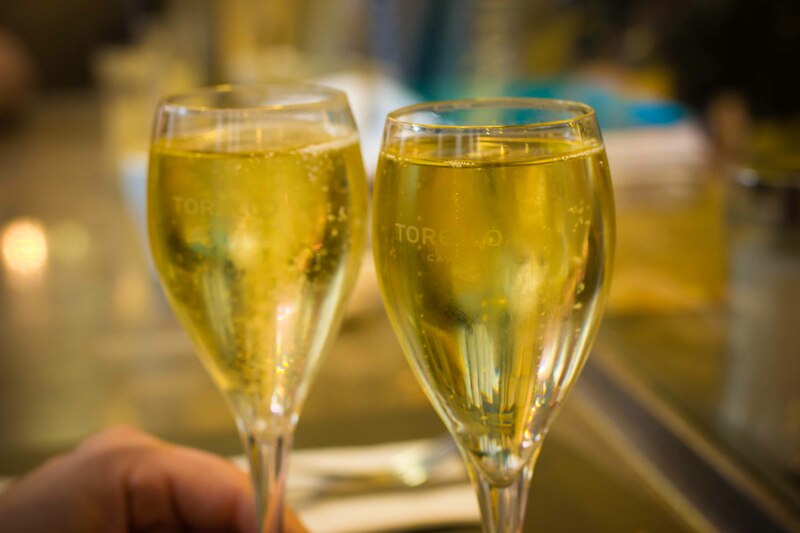 Morning, afternoon or night, it’s always time for cava. The dishes were delivered fast and furiously. I tried hard not to devour everything in seconds because the flavours were so good I wanted to savour the every bite. 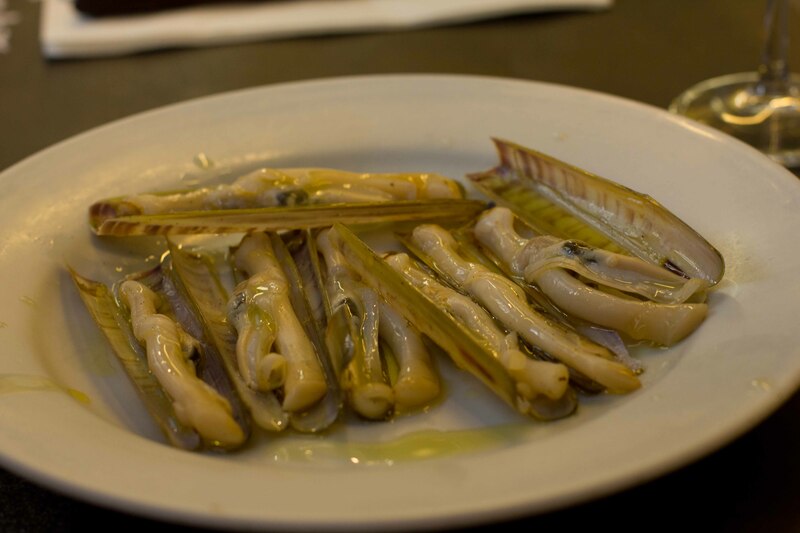 Razor clams – barely cooked sprinkled with salt and olive oil. 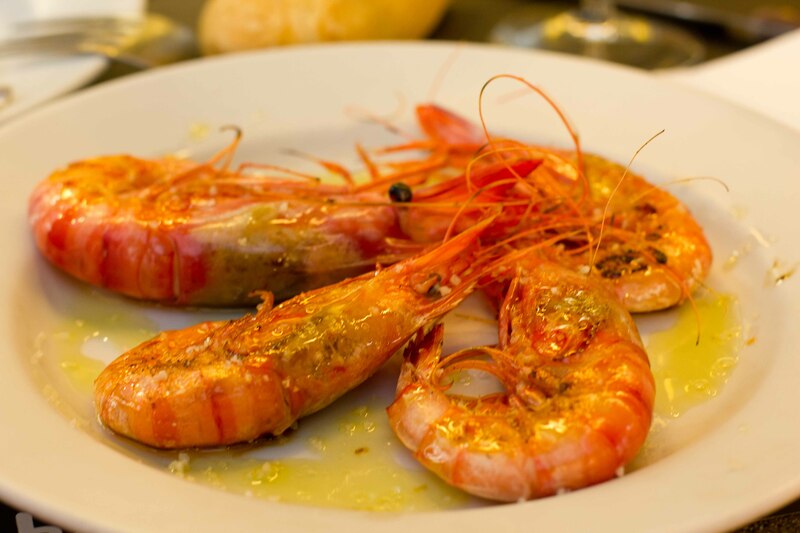 Prawns – prepared as above, the liquid from the heads oozed out when separated and made the most delicious dip for the bread. 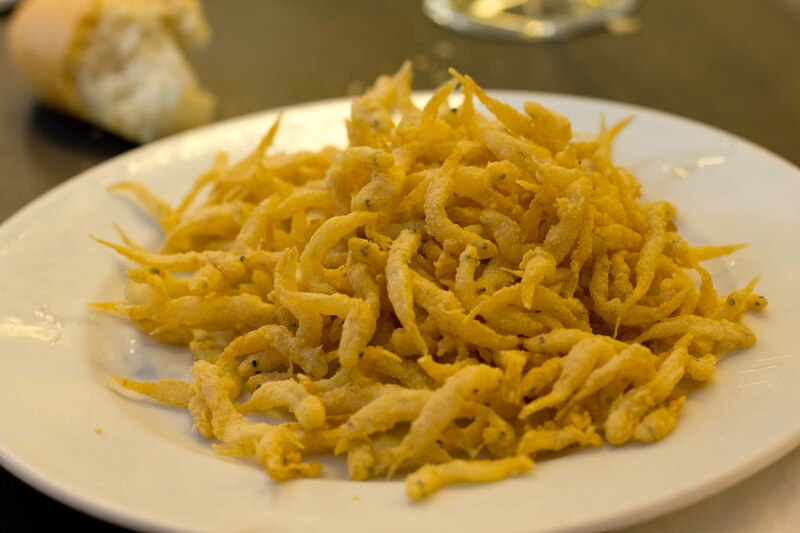 Crispy little fish – this dish needed either a beer to accompany it or a steaming bowl of congee. 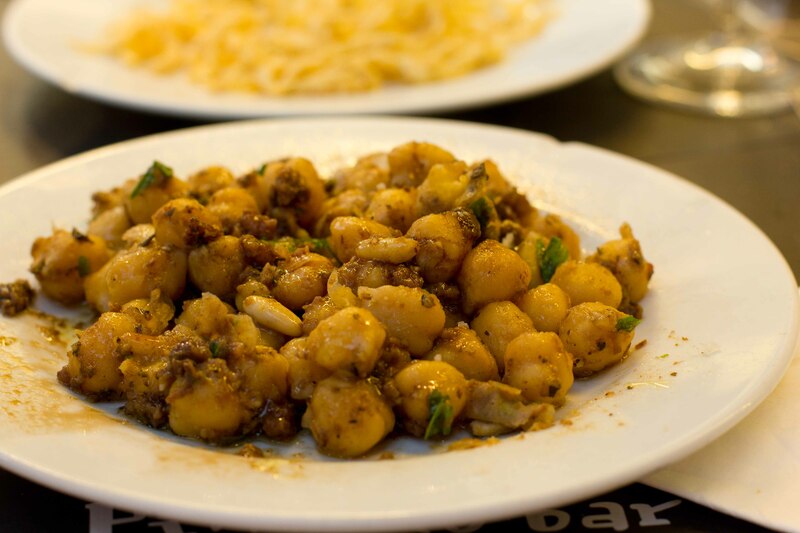 Chickpeas stewed with morcilla(blood sausage), raisins and pine nuts. I wanted to keep eating because all the dishes we sampled were so good, but had to stop myself knowing that I had a big meal coming up that night at Tickets restaurant. 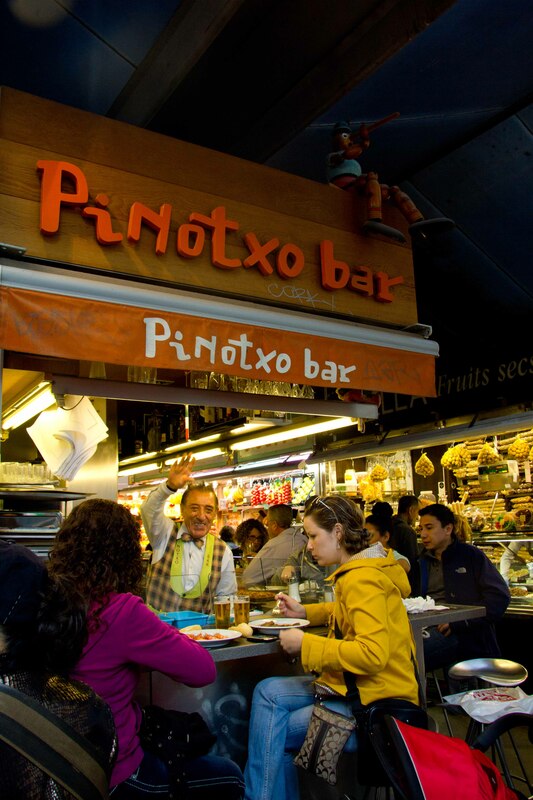 I know there are so many great restaurants in Barcelona to explore and I have so little time, but I’m trying to figure out how I can fit in another visit to Pinotxo into my itinerary before I leave. Great simple meals like these are the reason why I love to travel. 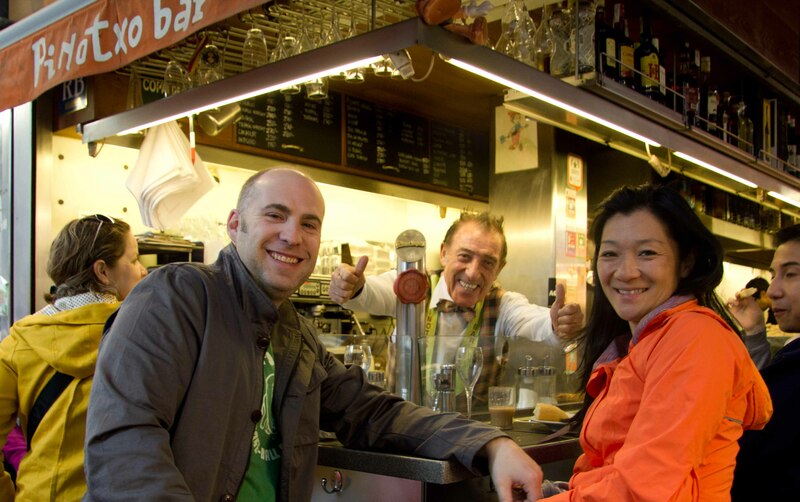 Previous PostPrevious Barcelona! And Let the Eating Begin.